I took a sick day today (my second sick day I've ever taken in my 10 year working career, so I don't feel tooooo bad about blogging even though I should be sleeping...) and it gave me time to do some things I normally wouldn't do on a weekday. 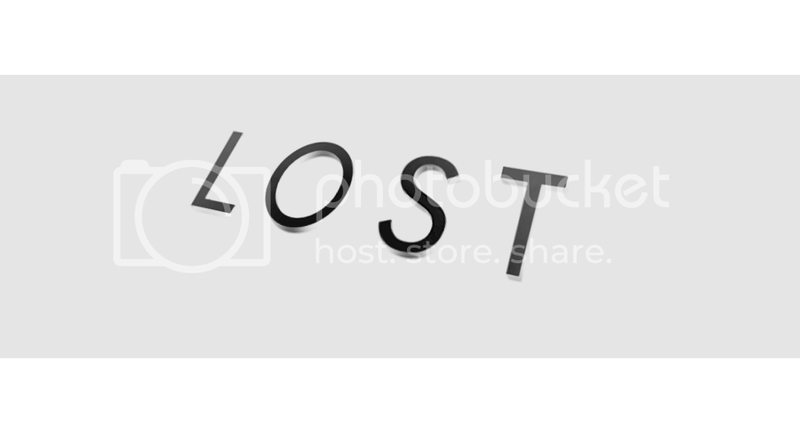 First, I finished watching season 5 of LOST on DVD. Oh man. I am so into this show it's not even funny. I can't wait for season 6, the final season, to start next month. I have so many questions, it's about dang time I get some answers. 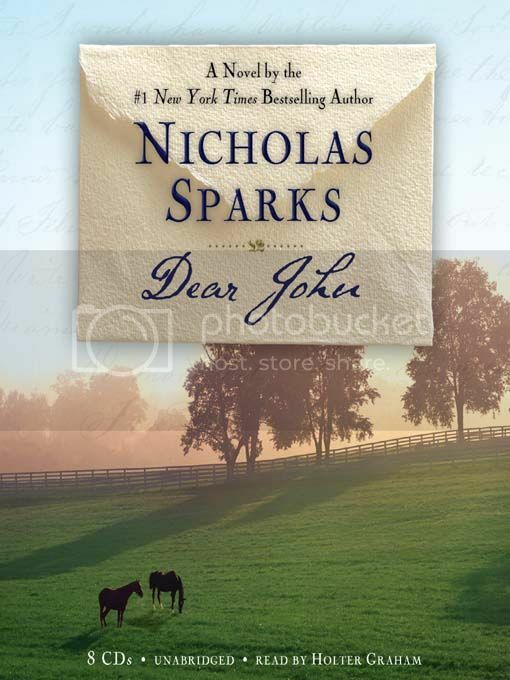 Then, yesterday at work I started reading Dear John by Nicholas Sparks. 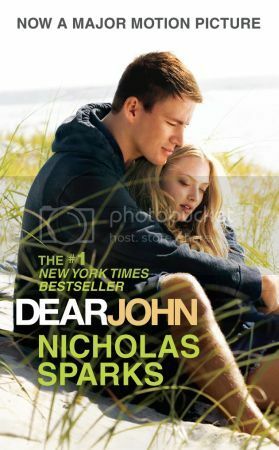 (Confession: I haven't read anything besides Twilight or Harry Potter in YEARS...) I got to page 82 of Dear John and was hooked. I finished it at 10am this morning. I have a reading problem: I start a book and can't stop until I'm done. That's why I don't do it very often. I should know better than to read anything by Nicholas Sparks. Why does he have to write such sad and heart wrenching but oh so good books? It's a dilemma. Here's a picture of the front cover of the version I read because, of course, to my delight, it's getting turned into a movie due in theaters on February 5th. I've seen the movie trailer a couple times already. I am gonna bawl my eyes out when I see the movie, 100% guaranteed. First things I notice besides how it's going to be my next favorite movie: where are his ginormous arm tats? And Savannah (played by Amanda Seyfried) is supposed to have brown hair, not blonde. Minor detail I suppose. Other than that, the trailer looks pretty true to the book and I know where I'll be on the night of February 5th! i blogged about this book a few days ago. i totally got hooked too! that nick sparks gets me every time! if i can get crying from a book, i know the movie is going to get me weepin' like a baby. p.s. channing tatum is the perfect john tyree! I have read every one of Nicholas Sparks' book and I think I have cried during every single one. I can't wait for the movie to come out...or his newest one too, The Last Song, looks like it's gonna be good too. I got my parents all 5 seasons of Lost for christmas and they are addicted! I will have to borrow them to see them. Never have! I'm not much of a reader but when it comes to Nicholas Sparks... I love ALL of his books! You definitely need to read A Bend in the Road. That's one of my favorites. I can't wait to see that movie either! I should read this! & I can't wait for lost too! BTW, the chocolate chip cookie recipe is just off the back of the Nestle bag! So good. WOW!! I am dieing to see that too!! It kind of reminds me of Roger, the Army and the whole Dear John (not that I ever wrote him a Dear John) haha........lol well anyway I am pumped to see it too! I hope my sickness will lighten up by then so I can enjoy a nice date night again! I love ya Paigey!! Thanks for all your fun posts and quite going to DISNEYLAND!! YOU MAKE SUPER JEALOUS!!!!!!!!!!!!!!!!!!! I love LOST too. I cant' wait for it to come back on! Looks pretty good. I don't normally cry during things, like books or movies, but it might be a tearjerker for me. Maybe I will try and read the book before it comes out. I've never read any of his books. I've seen The Notebook (LOVE it! ), and I've seen that one with Mandy Moore... oh! A Walk to Remember. Hated it. (Don't hate me now, kay?!) LOL.